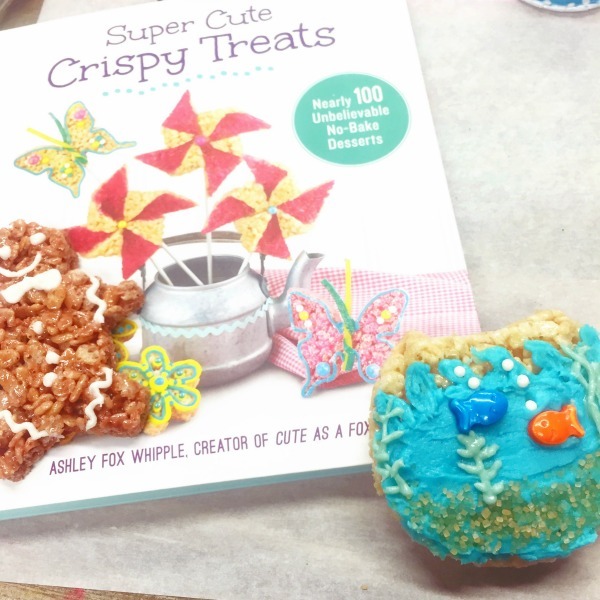 This creative food idea is brought to you by Super Cute Crispy Treats, the first book by blogger, Ashley Fox Whipple (As Cute as a Fox). This is the unofficial guide to creating and crafting with rice crispy treats. Filled with over 100 recipes and creative treat ideas. 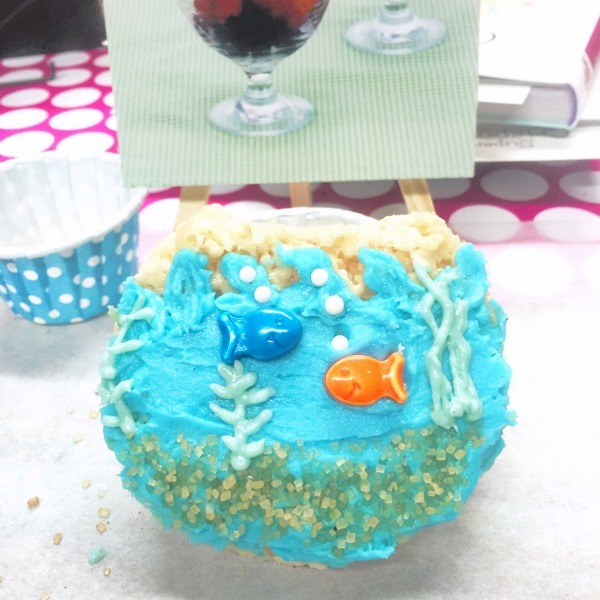 This particular fishbowl rice crispy treat I created at her book launch party. When I saw the little orange and blue fish swimming around the prep bowls they screamed Dory and Nemo. 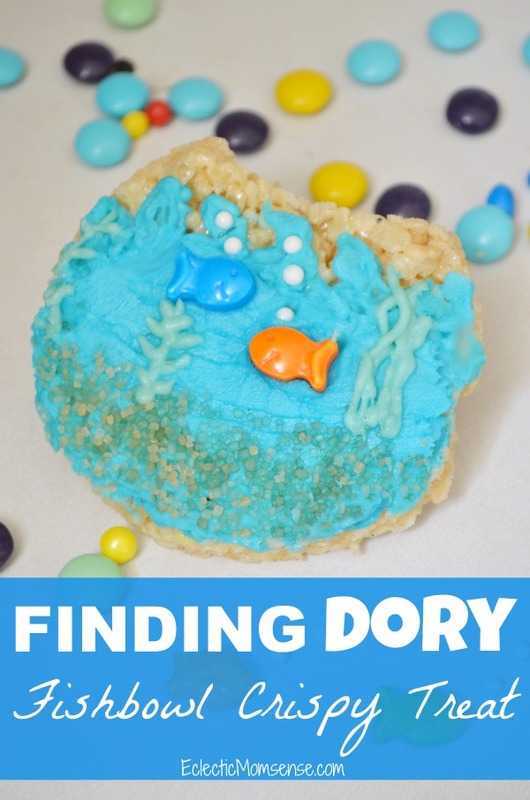 Fast forward to today, with the release of the film last week, and I just had to finally share this creative rice crispy treat idea with you. 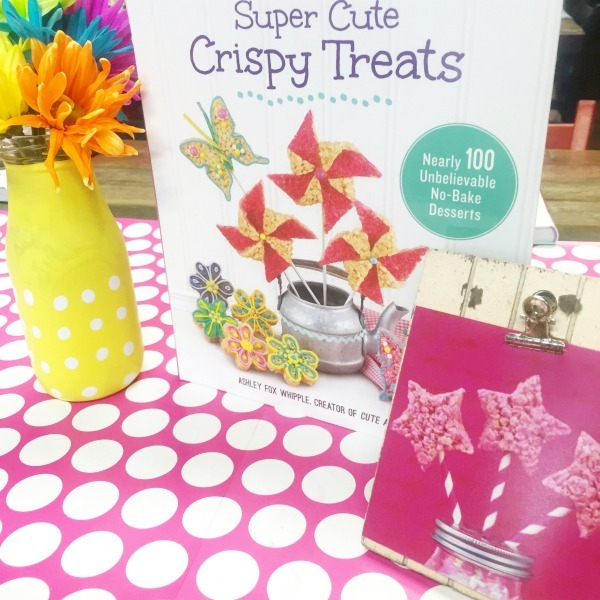 First snag a copy of Super Cute Crispy Treats for a great selection of recipes. Ashley will set you up with the best recipe for creating. 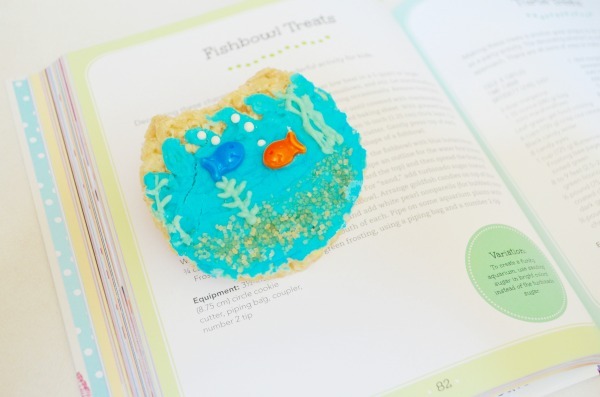 These make adorable birthday treats or party favors. Add a little handle and details and you’ve got the perfect Finding Dory coffee pot fishbowl. Amiright? The Super Cute Crispy Treat ideas are super simple: prep, cut, and decorate. 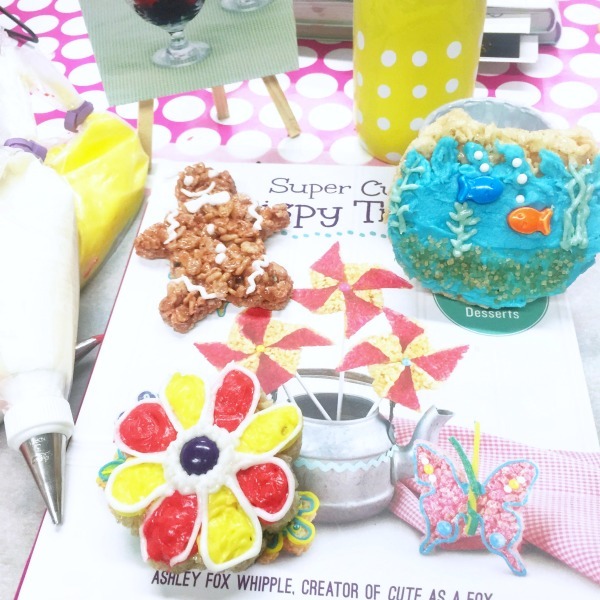 With the right sprinkles, tools, and frosting it’s easy to pull together a cute crispy treat idea for any occasion.